Salt Lake City, Utah – October 26, 2010 — Utah Cyclcross (www.utcx.net) in support of local cancer patients, joins the Lance Armstrong Foundation’s (LAF) fight against cancer by raising funds through CROSS OUT CANCER, a cyclocross ride for all ages and abilities held in conjunction with the Utah Cyclocross Series. The ride will be held at 12:00 Noon on Saturday November 27. 2010 at Wheeler Historic Farm, located at 6351 S. 900 E. Salt Lake City, Utah 84121. To register for the event or for more information visit www.utcx.net. In addition to the ride, there will be an auction with proceeds benefiting LAF. Companies are encouraged to contact UTCX if they are interested in contributing items for the auction. When Utah cyclist and a member of the USA Cycling National Team Connor O'Leary (19 years old) was diagnosed with cancer this past summer, he and the cycling community knew they had to get involved to help others fighting this disease. The Lance Armstrong Foundation and Lance Armstrong personally have been a critical part of Connor's care, so he was excited when his father, David O'Leary, suggested teaming up with Utah Cyclocross (www.utcx.net) to create CROSS OUT CANCER, a fun cyclocross event supporting LAF. UTCX has pledged to donate 100% of registration proceeds from this special ride, which will be held in the middle of the normal cylocross races for the day, to LAF. This event is in support of the many members of our community fighting against cancer including numerous cyclists who are currently battling this disease. 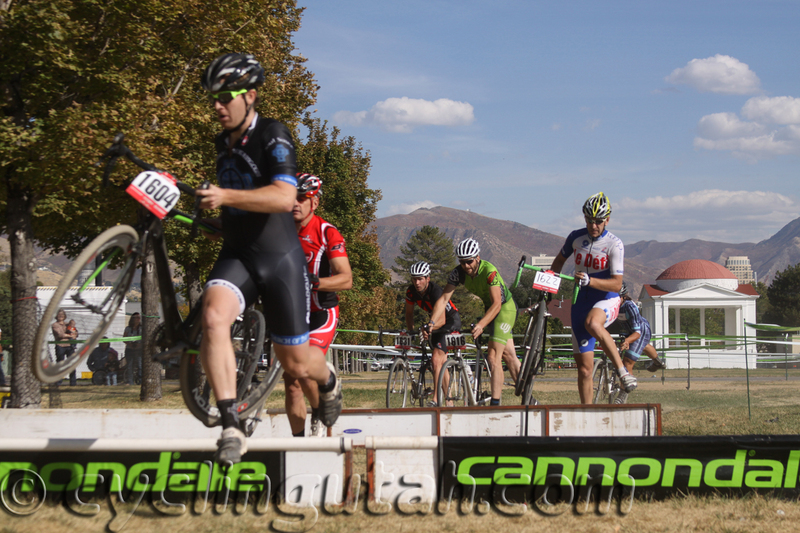 Cyclocross is a competitive sport on a bicycle during the fall/winter months. A cross bike looks like a road bike but has knobby tires and mountain bike cantilever brakes. Course's have a mix of dirt, grass, and pavement. Laps are shorter and usually take anywhere from 8 to 12 minutes depending on the venue. 1, 2 sometimes 3 barrier sections are set up that usually require you to dismount your bike, run with your bike, and then remount your bike. These dismount and run sections also help keep the feet warm on a cold race day. Races last anywhere from 40 minutes to 1 hour depending on the category. Cyclocross is the FASTEST growing segment of cycling currently in the United States. Cyclocross is very spectator friendly and there are categories for all ages and abilities, even Kiddie Cross. The Lance Armstrong Foundation inspires and empowers people affected by cancer. We provide the practical tools and resources survivors need to live life on their own terms. Our goal is to create a fundamental change in the expectations and experience of living with cancer and to lead and sustain a survivorship movement to help eliminate suffering due to cancer. We believe that in the battle with cancer, unity is strength, knowledge is power and attitude is everything. The LAF was founded in 1997 by cancer survivor and champion cyclist Lance Armstrong and is located in Austin, Texas.